​Special equipment includes a foot operated tire driven siren and a gear driven speedometer with lock feature. The State Patrol operated motorcycles from its beginnings in 1929 through late 1949. In 2007, for the first time since 1949, the State Patrol acquired five new Harley-Davidson​ Police FLHTP Electra Glide motorcycles, through a one-year lease. No maroon paint option was available from Harley-Davidson, so the five Electra Glides were ordered in black. Graphics hearkening to 1929 were applied. ​The program was deemed a success and plans began for purchasing new units for 2008. 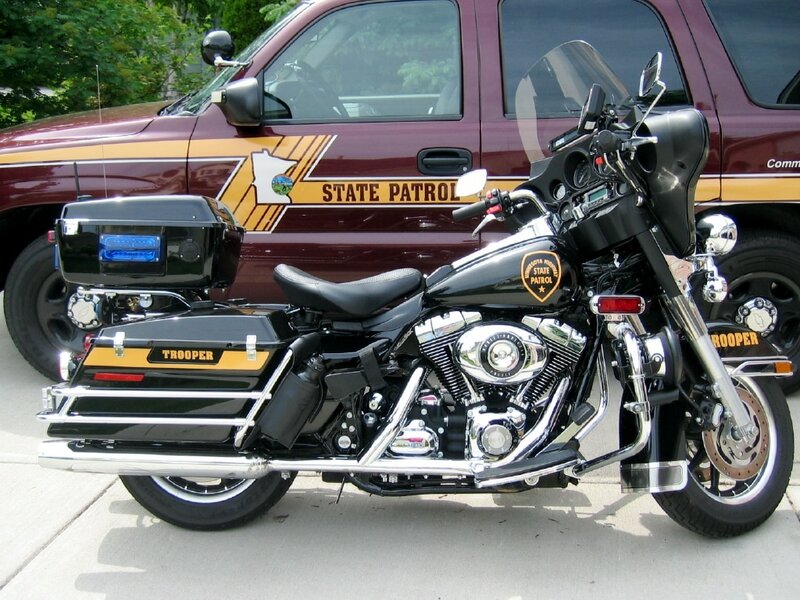 ​Though the Motor Unit was very effective, due to manpower and logistical issues, the unit disbanded in 2012, and the Harleys were auctioned one at a time, thus ending another chapter in State Patrol history. The former motor troopers still proudly wear their motor unit badges.